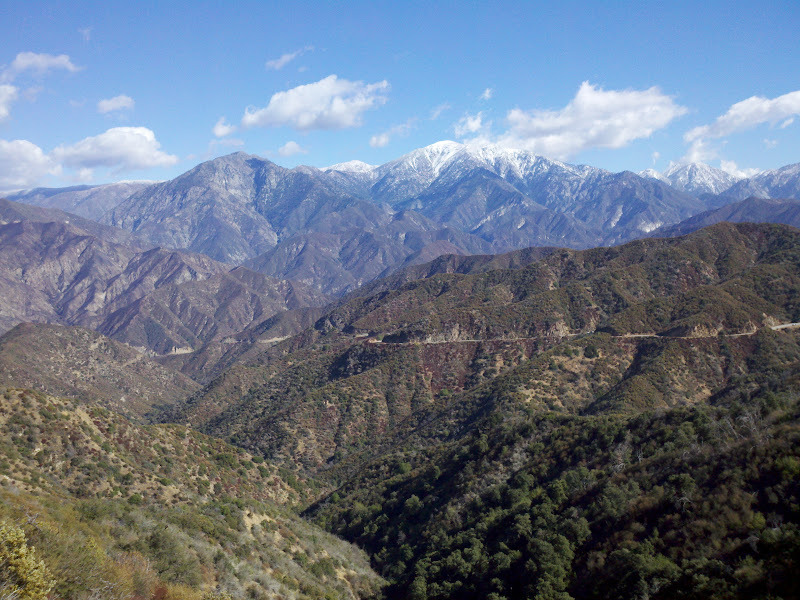 The Tour de Foothills is a late fall season century in the Inland Empire, leading along the foothills of the San Gabriel Mountains and up Glendora Mountain Road (GMR) and part of Mount Baldy Road. Most of the ride is urban, except for the two climbs. 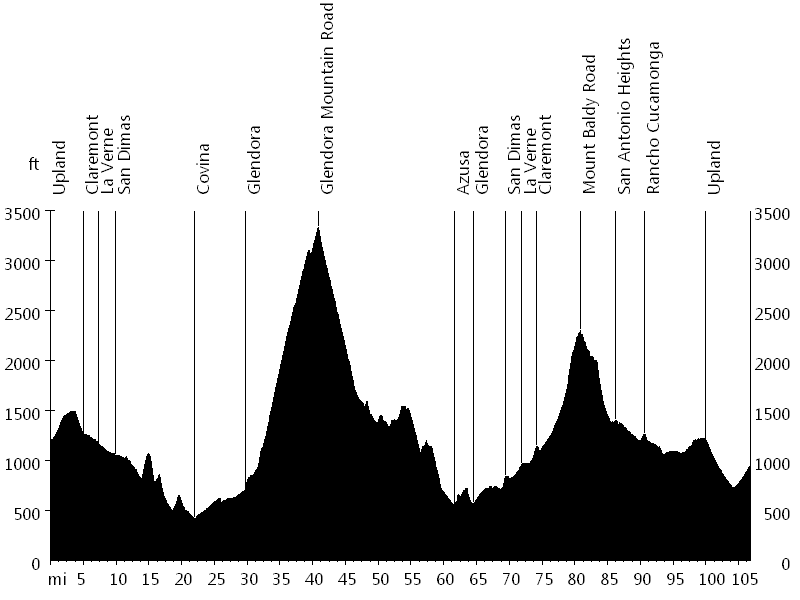 The course starts in Upland and initially heads west, passing through Claremont, La Verne, San Dimas, and Covina. 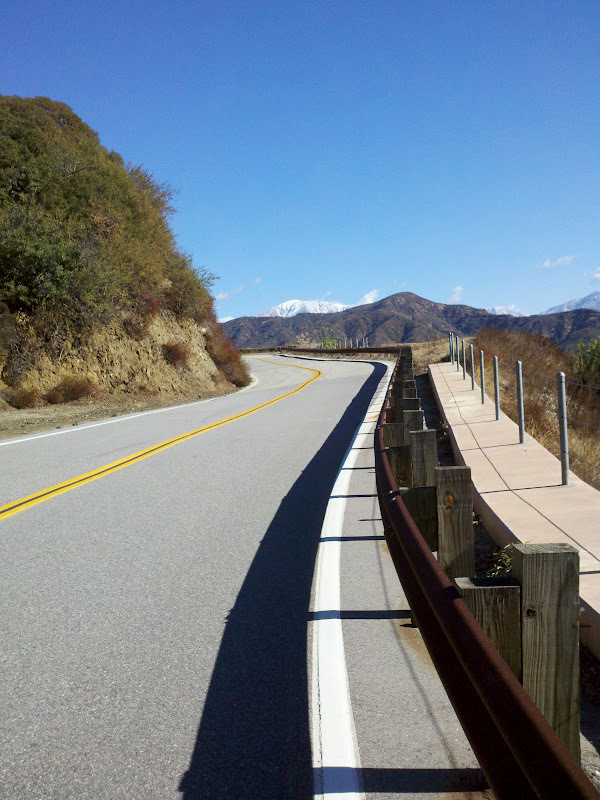 Then the route leads north, passing through Glendora and up GMR, which is timed. 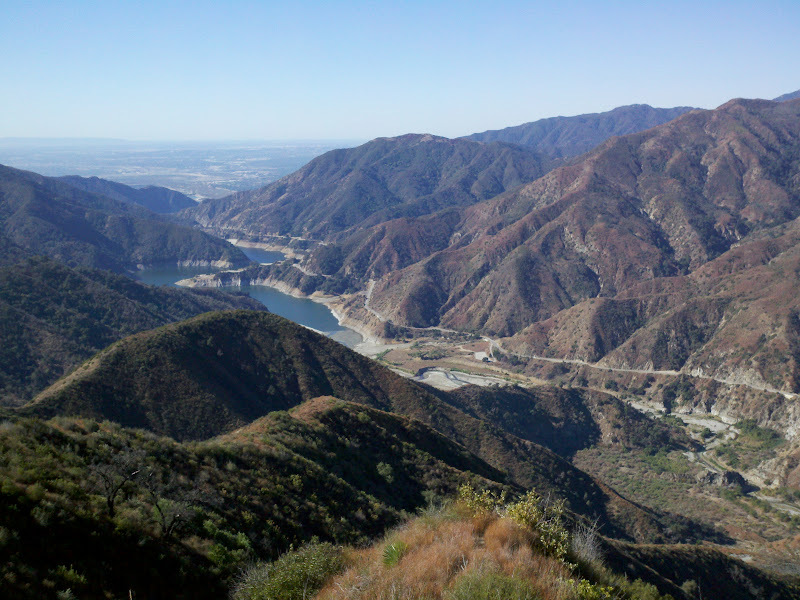 GMR continues on down to East Fork Road, which turns south into San Gabriel Canyon Road, passing San Gabriel Reservoir and Morris Reservoir on the way to Azusa. From here the course heads east, passing through Glendora, San Dimas, La Verne, Claremont, and up Mount Baldy Road. At the intersection with North Mountain Road, the route leads down through Antonio Heights and further east to Rancho Cucamonga. Eventually the ride heads back west to Upland. The storm that had passed through a day before left the top of Mount Baldy covered in snow. The day of the event turned out beautiful, cold but sunny, with clean air and great views, and a strong wind later on. The course was well marked, but I missed the very last turn because a truck was turning in front of me, covering the route arrow on the road. Eventually I noticed it, but ended up riding a few extra miles. The ride support was outstanding.